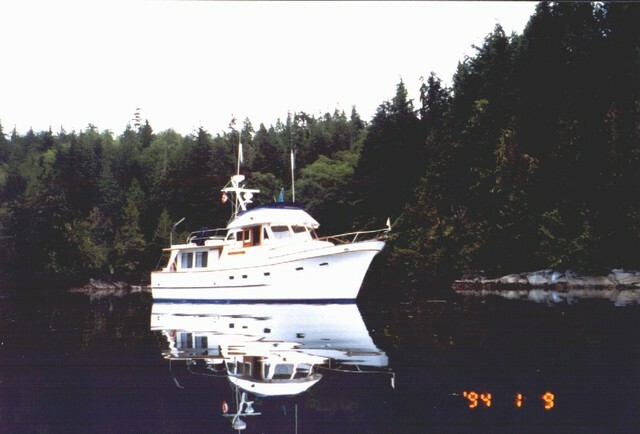 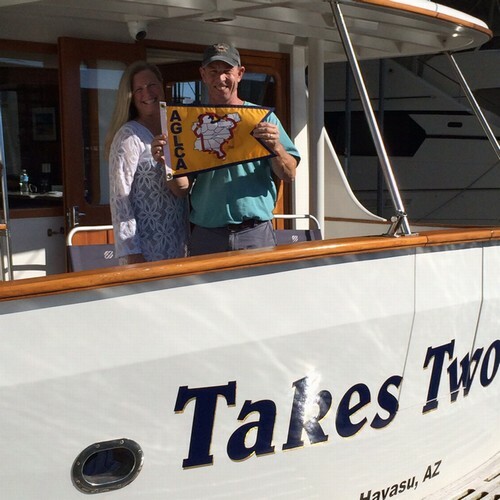 One of the great cruising boats patterned after the “Alaskan” that Art DeFever designed for Grand Banks. 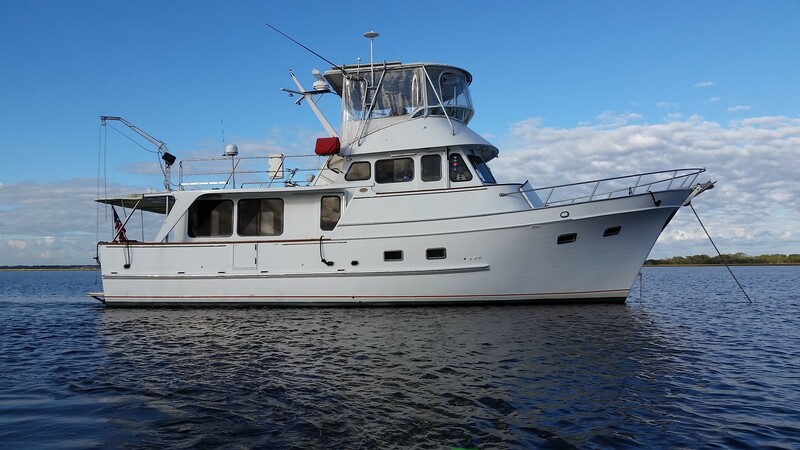 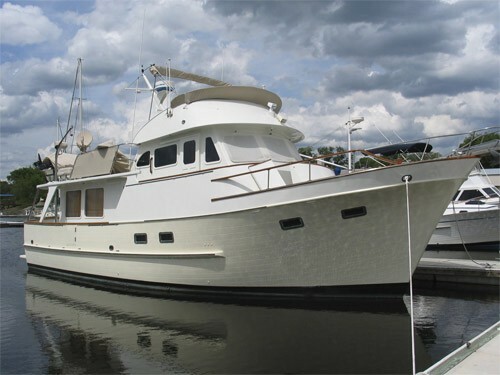 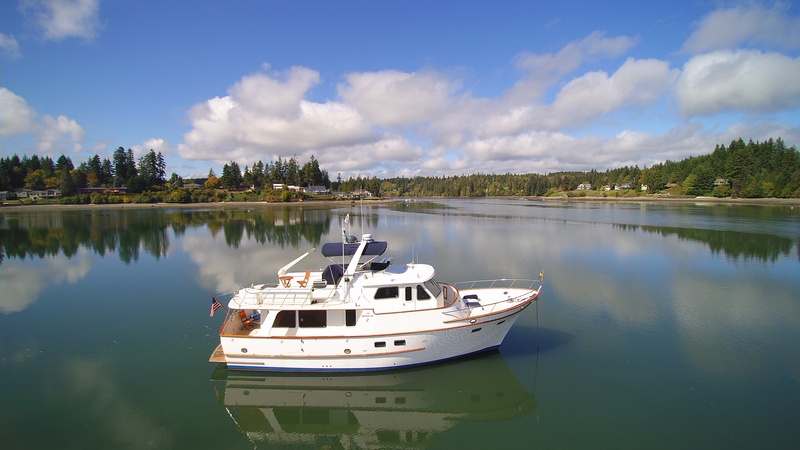 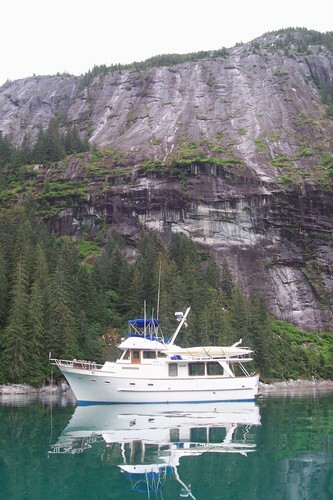 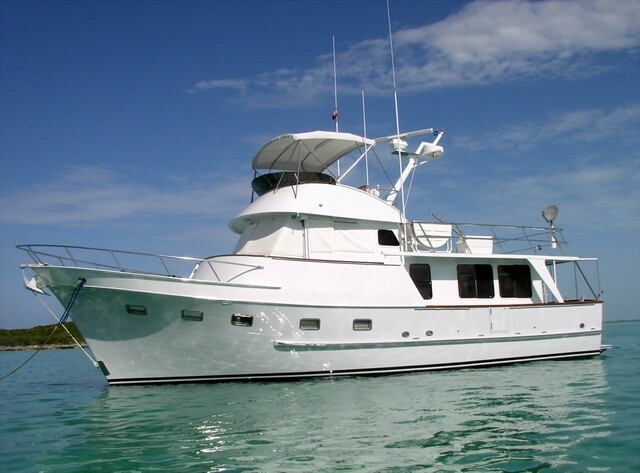 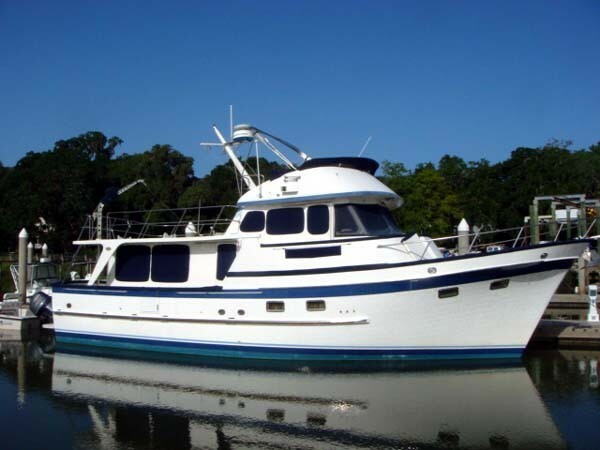 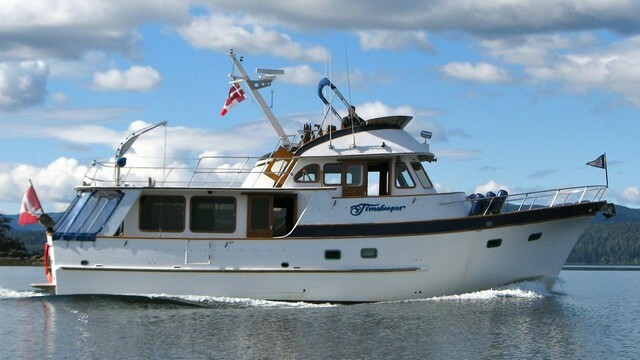 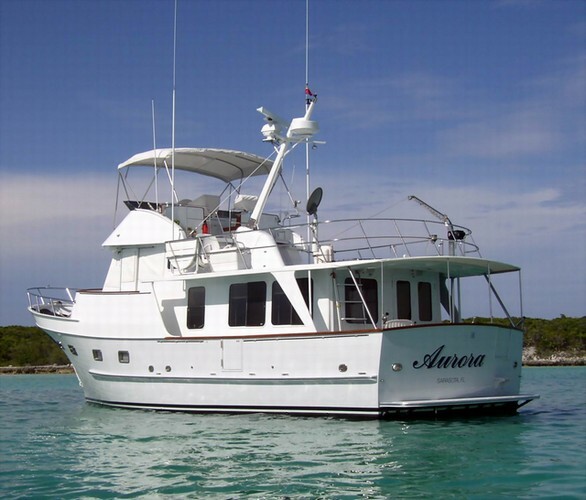 The Alaskan touched off the popular design style known as a “raised pilothouse” cruiser that has been copied by everyone else over the years. 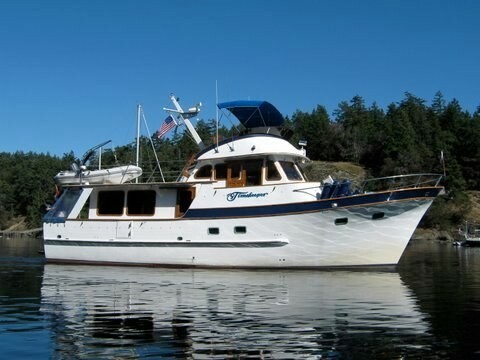 This is another great cruiser for a couple and occasional guests in the second stateroom. 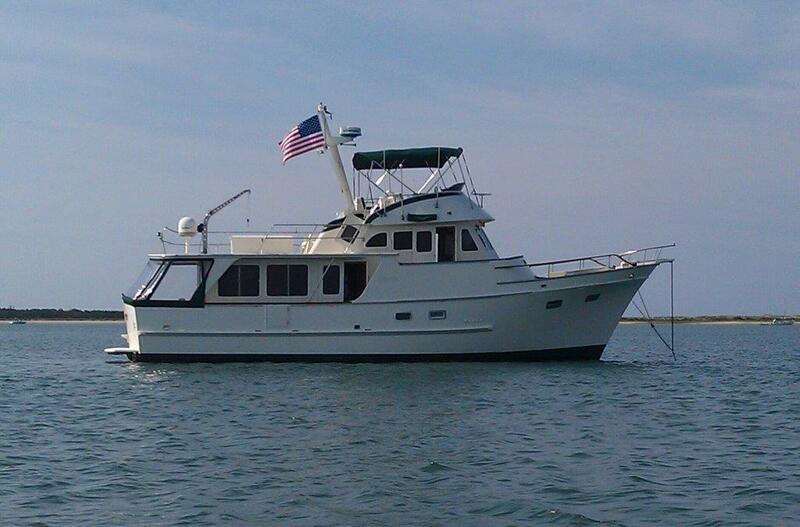 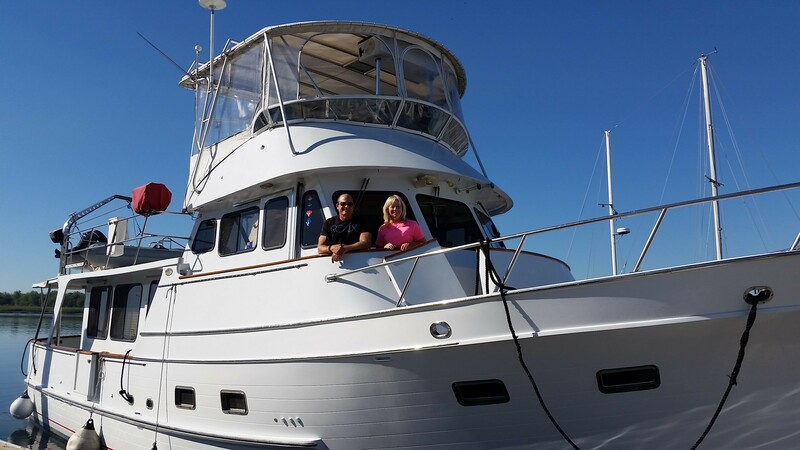 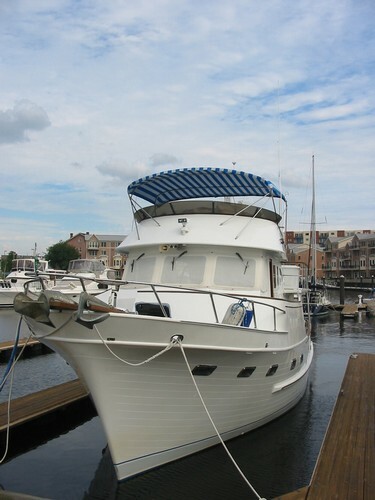 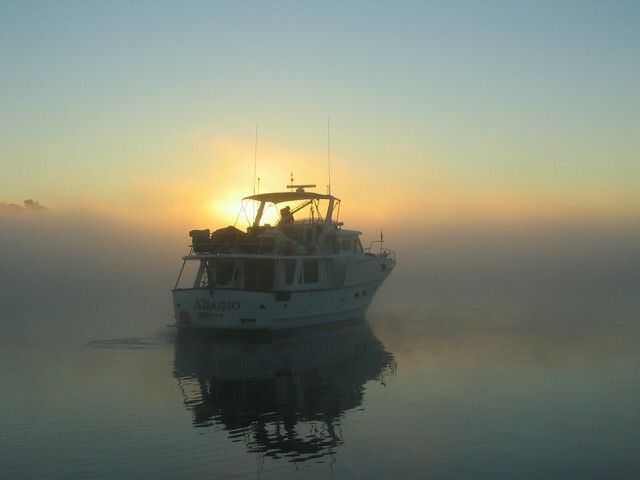 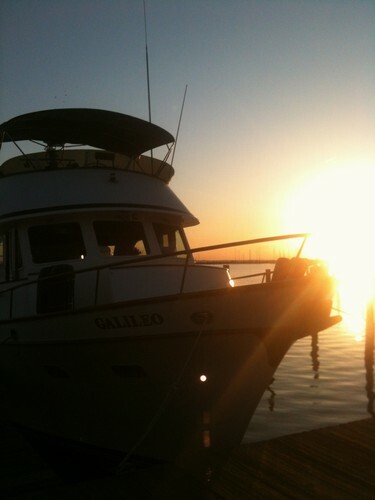 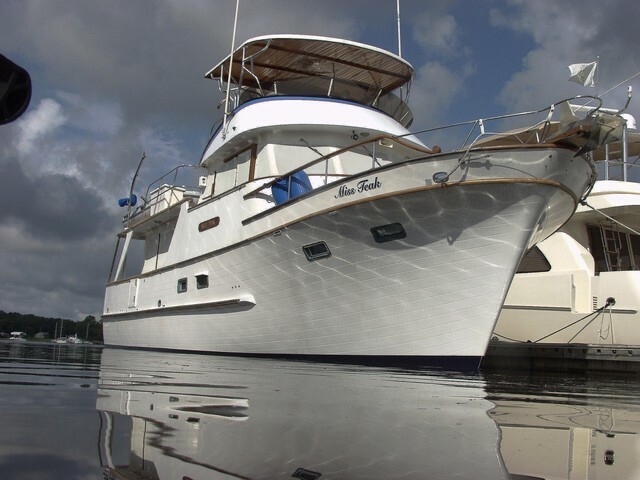 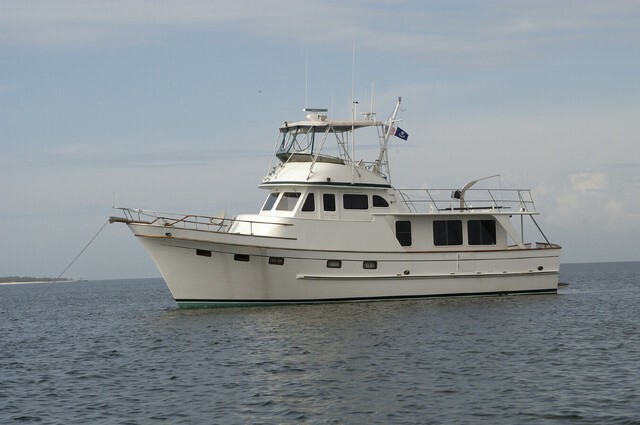 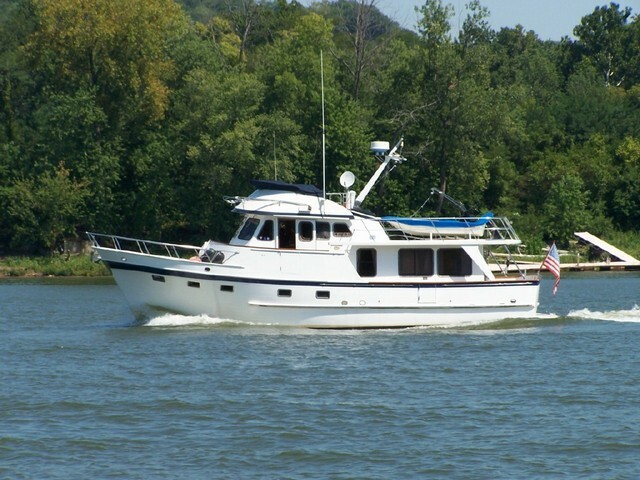 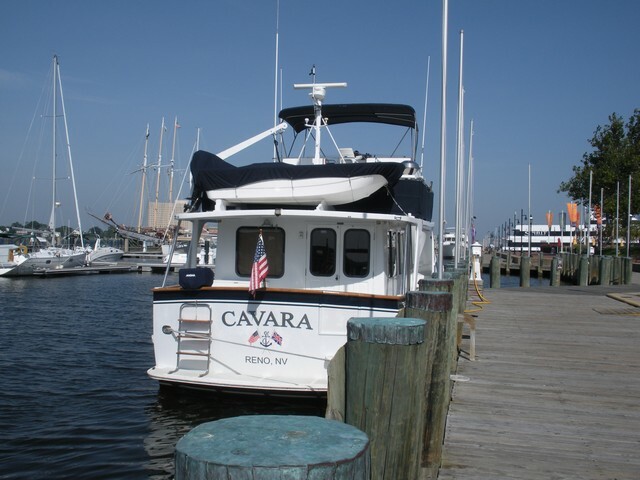 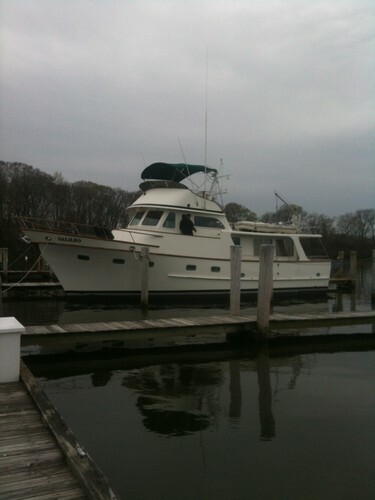 The pilothouse is perfect for long passages and cold or rainy weather. 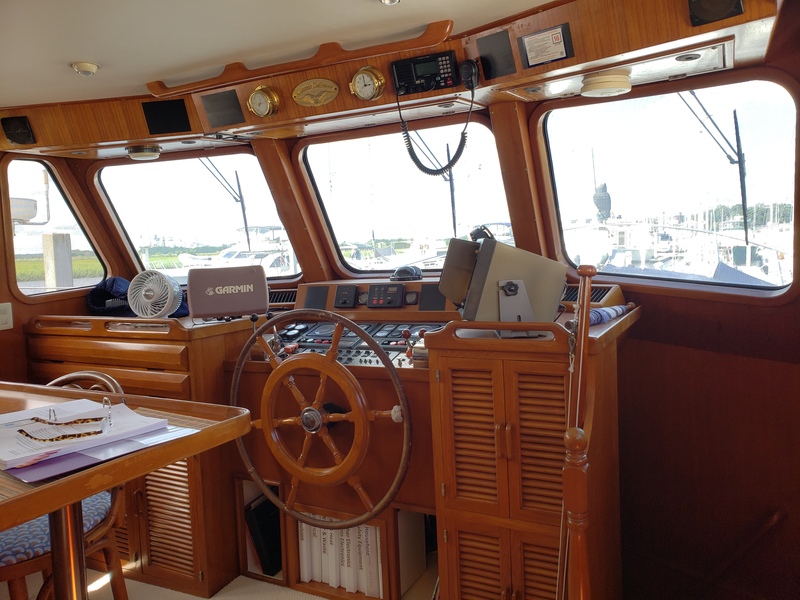 And the bridge atop the pilothouse gives the best possible view of shallow waters for sight navigation. 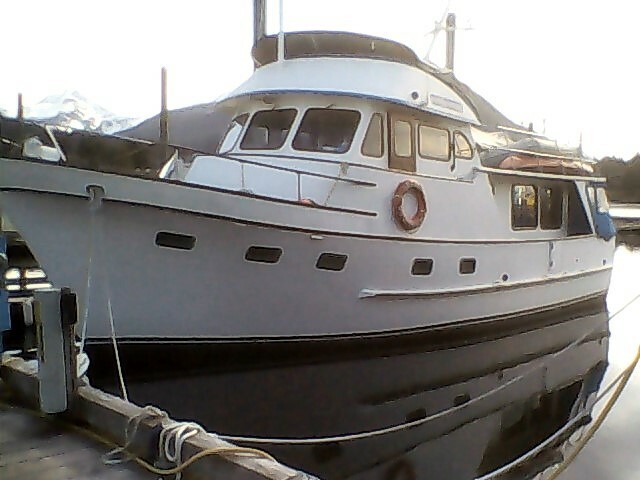 She has a range of over 1000 miles. 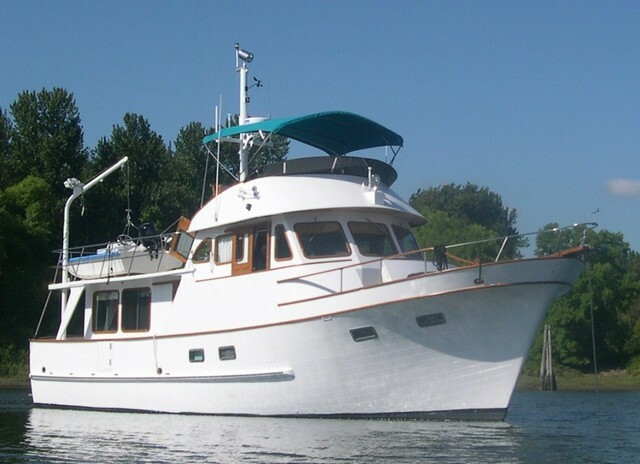 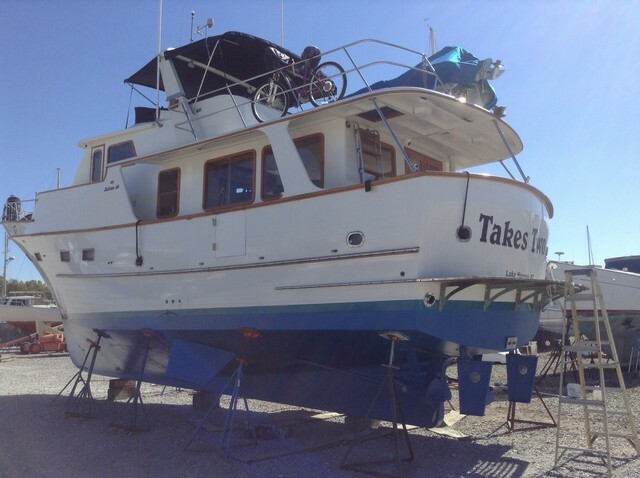 Her long boat deck will easily accommodate a 12-foot tender. 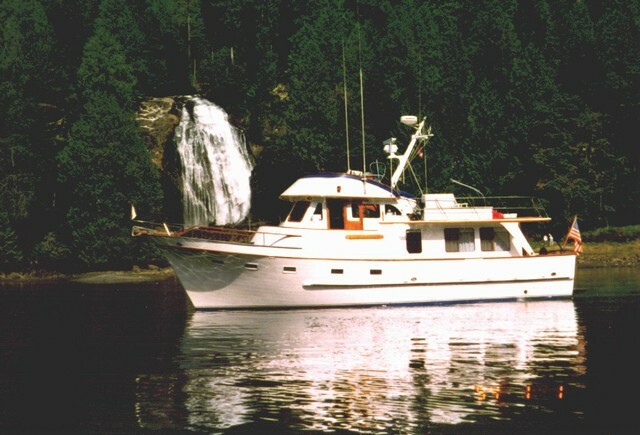 The original design was built in the Sen Koh yard in Taiwan from 1977 thru 1990. 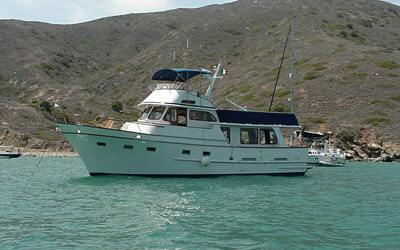 The current version, built in the POCTA yard, places the bridge behind the raised pilothouse to yield a lower profile.